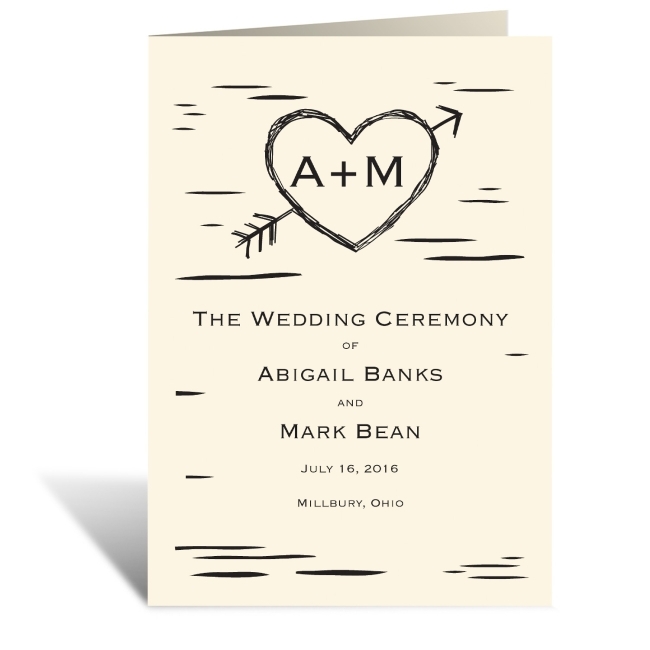 This folding wedding program features your initials carved in a heart on the birch bark background on the cover while the two inside panels allow plenty of room for personalizing details of your ceremony and wedding party. The font used for all text in the program above is Copperplate. Like this wedding program? You can personalize it with your own wording and details at invitationsbydawn. 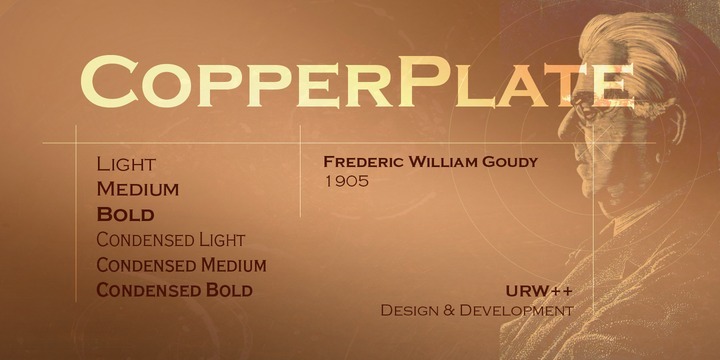 Copperplate is a serif typeface designed by Frederic W. Goudy in 1901. The letters feature tiny serifs and are reminiscent of stone carving. The typeface is most often used in stationery, for social printing, and is classically seen acid-etched into glass on the doors of law offices, banks. It best manifests eternity of love and marriage when used in wedding stationery and gifts. You can buy and download Copperplate at Myfonts.